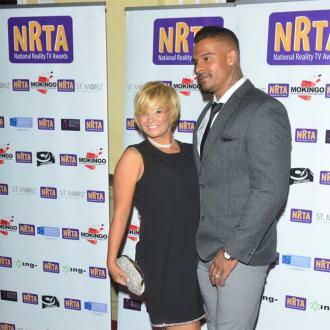 Kerry Katona feels ''empowered'' and is looking forward to the future after splitting from George Kay. 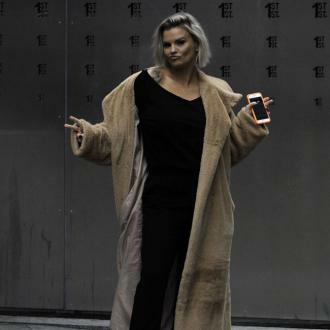 Kerry Katona feels ''empowered'' after ending her marriage to George Kay. The 36-year-old star called it quits with her third husband for the second time following a series of blazing rows last month, and though she wishes him ''nothing but love and happiness'', she knew she had to walk away for her own sake and is now looking forward to the future. ''He's the father of my children and I wish George nothing but love and happiness. ''I hope he finds the peace to get the help he needs but I can't continue to help someone when I need help myself and to take responsibility for my actions. George has spoken in the past about his mental health issues but Kerry - who has daughters Molly, 15, and Lilly-Sue, 14, from her marriage to Brian McFadden, Heidi, 10, and Max, nine, with second husband Mark Croft, and Dylan-Jorge, three, with George - admits she didn't know about his problems until she had fallen in love with him. Asked when she found out about his problems on UK TV show 'Loose Women', she said: ''When I was already in love with him and I think you get your relationship, [at first] you all pretend to be something you're not and you fall in love then you see someone's true colours, even my true colours come out as well. But the Atomic Kitten singer insists she doesn't blame George for their split and instead she needs to take ''responsibility'' for her part in what happened. Kerry hopes to keep her life drama free from now on, but joked her personal life is what has made her so successful. Asked if she'll walk down the aisle again, she joked: ''It just depends how much they'll pay me for my next wedding.